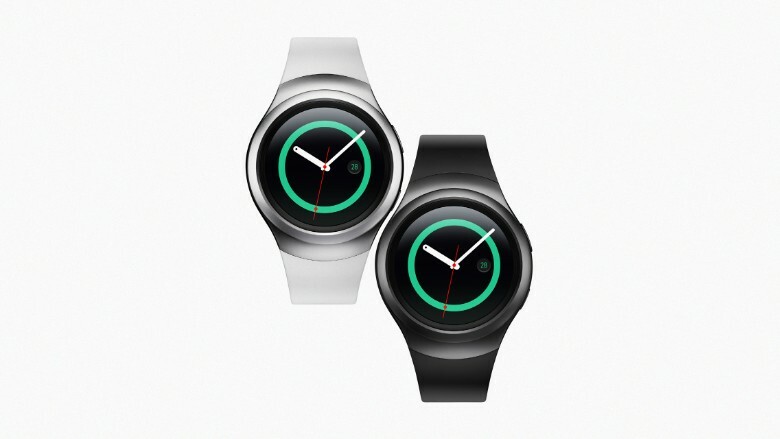 The Samsung Gear S2 will probably make both gadget lovers and watch lovers happy. Samsung's newest smartwatch is slick and stylish, so you might actually want to wear it. The device is also extremely easy to use, so you'll become familiar with it fairly quickly too. After playing with the Gear S2 for a few minutes earlier this week, I felt like it was something I would want to buy (receive as a gift -- hint, hint). Unlike its predecessor, the Gear S, the S2 is no longer a rectangular screen wrapped around your wrist. It's a beautiful round display that, from far away, could be mistaken for a traditional watch. There are two models you can choose from: a classic style, and a sportier, minimally larger version. The classic version is 40 mm in diameter (1.6 inches). It comes in black with leather straps that can be replaced with traditional watch bands. The sportier model is 42 mm in diameter, and comes in dark gray and silver with a matching dark gray and white, stretchy plastic bands Samsung calls "elastomer." The screen size is the same on both(1.2 inches), so it really doesn't matter which one you get, unless you really want leather straps. Using apps on a wearable device can be frustrating because the screens, buttons, and dials are tiny and can be hard to handle. Samsung fixes this problem by turning the entire Gear S2 bezel into a control wheel. It's an incredibly smart use of space that helps provide more precise navigation. As someone who wears a traditional watch with a rotating bezel, it's also a cool feature that makes the Gear S2 fun to use. Samsung will offer a 3G model for the new Gear S2, so you'll be able to make and receive calls without having your phone nearby. You'll also be able to send and receive messages and stream music. The smartwatch will also be able to replace your wallet once Samsung pushes Samsung Pay to the device later this fall. Battery life is expected to be about two days, so even if your phone dies, the watch can continue to work. The Gear S2 also has a mini alphanumeric keypad, so you can tap out messages flip-phone style. Samsung hasn't released pricing details, so it's hard to say whether or not it's a comparable option to the Apple Watch. 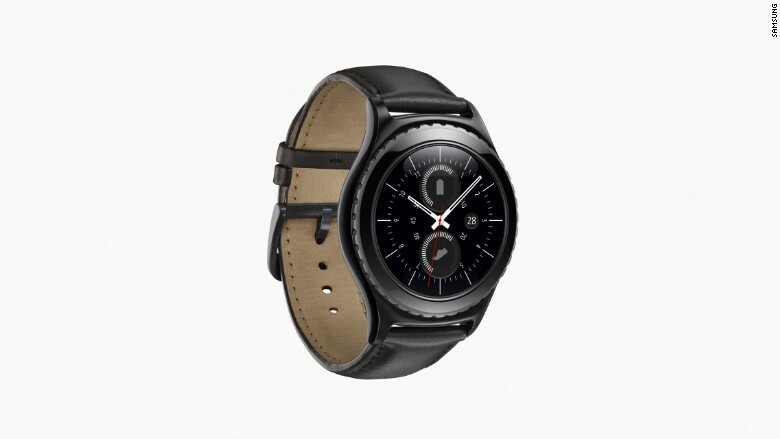 The Samsung Gear S with 3G currently costs about $200 with a two-year contract with AT&T. The company also hasn't said anything about when the Gear S2 will be available.